“If, in Europe’s highly complicated landscape, the impression arises that we’re not serious about offering the prospect of EU membership to the western Balkans, then we might see later — and probably even sooner — what we saw in Balkans in the 1990s,” Juncker said in a speech to the Austrian parliament. The six Balkan states — which during the 1990s formed the battleground to Europe’s deadliest conflict since World War II that led to the break-up of former Yugoslavia — are currently at different stages of accession talks with the EU. While membership negotiations have officially started with Serbia and Montenegro, Albania and Macedonia are still in the waiting room to talks and classified as “candidate countries”. Bosnia and Kosovo are listed as “potential candidates”. Nevertheless, the road to full EU membership for those states was “still very long”, Juncker said. And Juncker reiterated that he didn’t see any of them attaining full membership “before 2025, and even then it won’t be quick”. The EU must “tend to the west Balkans intensively and help where necessary,” the EU Commission chief said. It should “ensure it is understood that all border conflicts between the west Balkan states must be resolved before the membership can be attained,” he said. The former Prime Minister of Luxembourg started his term as head of the EU executive announcing that there would be no future enlargement of the Union under his watch. All the mess are on the hands of the 28 Leaders . 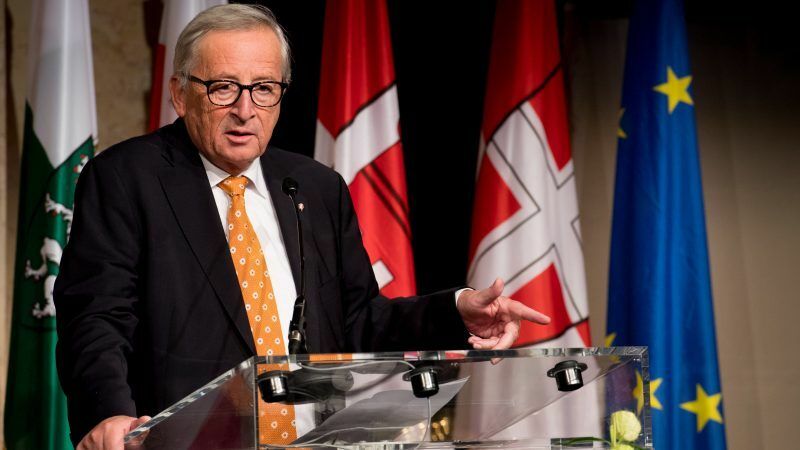 Juncker don´t want an United countries of Europe and he including his commission and the Council are same responsible for the mess caused because they and leaders of don´t want a real federal Administration in which Europe needs desperately if not the E.U. as is will be history when nationalism reigns on its own repeating a dark chapter in history . J-C Juncker is the opposite of Winston Churchill´s Idea . Juncker is disgraceful by disregarding on what Europe really needs and should blame himself and not the people .